are looking for agents in the Europe, North America and South America regions. 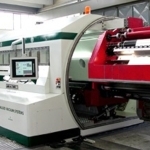 The company Galileo Vacuum Systems, leader in High Vacuum Machine Builder, is interested in improving the market for the batch coater machine (The application field of Batch Coater is the production of car head lamps and automotive lighting - lighting in general) expecially in North America. In the past years we have had excelent business already so we have a good reference list for seveal countries Usa included. Actually we are checking traditional customer and not to improve our export to Usa: so we are asking if you are able to provide agents/trading for the North America market. Please answer asap I am actually planning my visit to Usa next august-september. desde México hasta la Argentina, incluyendo el Caribe. We are looking for distributors throughout Europe and Middle East.